There are numerous ways to soundproof a room. However, when looking for the cheapest way to do so, it may boil down to one thing: what materials can you use that you already have or can obtain for little money. With a little ingenuity and considering your resources, you can soundproof a room fairly inexpensively. 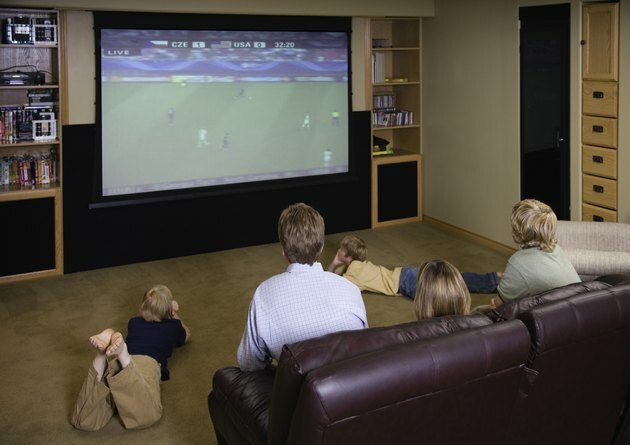 Is your room a home theatre or a television room or just a space where you don't want any outside noise? Before you determine what to use for soundproofing, you need to analyze a few things. First, you must consider what level of soundproofing you are looking for. Is the room a home theater, in which you are looking to muffle some of the vibrating sound, or is this a music studio that will need more successful results for recording your music? If so, you can find specific soundproofing foam made for this purpose from companies like Musician's Friend that offer various "studiofoam wedges." This will cost more than using your available resources or other inexpensive ideas, but may give the results you are looking for. Are you trying to block out the sound of your noisy neighbors or are you the neighbor that wants to blast your TV without upsetting others? If you want to soundproof for these reasons, try the specialty supplies from companies like soundprooffoam.com. Again, the cost will be more when using commercially available products. Another factor to ponder is whether the final appearance of your soundproofing will make a difference to you or others who will frequent the room. Many people have read or heard of ways to soundproof a room but, if finances are a concern, finding the least expensive way will be the most important consideration. For windows, the cheapest way to soundproof a room would be to cover the windows with a piece of foam or cover with blankets or an eye-appealing tapestry. Use resources and materials that you already have or can get inexpensively. Another option is to find thick drapes from a secondhand store or thrift shop and hang them to deaden some of the sound. For walls, the least expensive method is to hang blankets or decorative thick material and artwork. The more wall space you cover with these, the better sound dampening you will obtain. 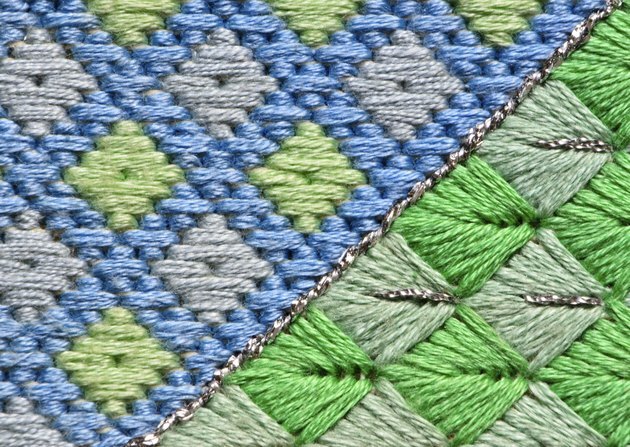 Old family quilts with a lot of color and character can give good sound-deadening results, in addition to looking attractive. Another option is to tack foam blocks or egg cartons on the wall and then cover them with fabric; however, in an average-sized room, this could take a lot of egg cartons. You could also visit a DIY store or craft store to find fabric and foam remnants or drywall and insulation leftovers. Doors can also be a concern for sound. Tim Carter, of askthebuilder.com, recommends using a solid door, if possible, for interior doors to hold the sound in the room. It may be slightly expensive to replace an interior door, so look for a used one at a garage sale or in online classified ads. Carter also suggests using special acoustical caulk around all doors and windows of the room. Another suggestion is to attach thick paper, wallpaper, or even old clothing to your doors and walls. Walls filled with your favorite old sports team sweatshirts can be functional, fun and pleasant to look at. Floors can be covered with carpeting for good soundproofing, and a pad under the carpet can help with even better results. If you don't already have carpet in the room, carpet remnants or several small area rugs may be an affordable option. 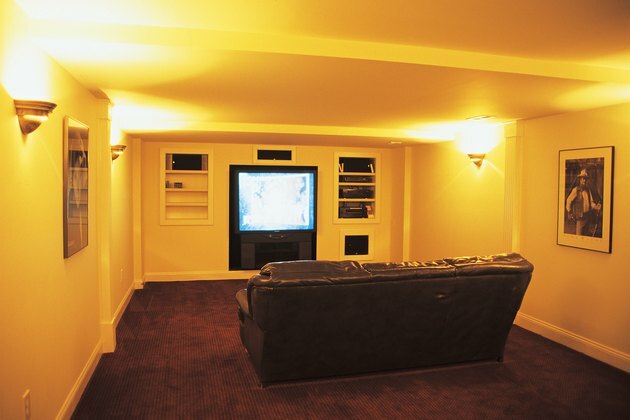 Ceilings can be soundproofed by laying carpet and pads on floors directly above your room. Furniture in the room will also help to absorb some of the sound. If you don't have much furniture, visit garage sales and thrift stores for beanbag chairs, upholstered pieces, and other inexpensive options.